Kite Flying! - Super Inky! Some days are just perfect for kites - the days when the wind is blowing so hard that your hair is whipping around everywhere and you can hear it in the trees! 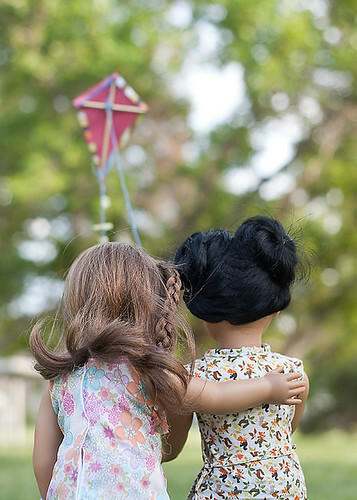 Piper and I headed out to the park for a perfect picnic and some kite flying. 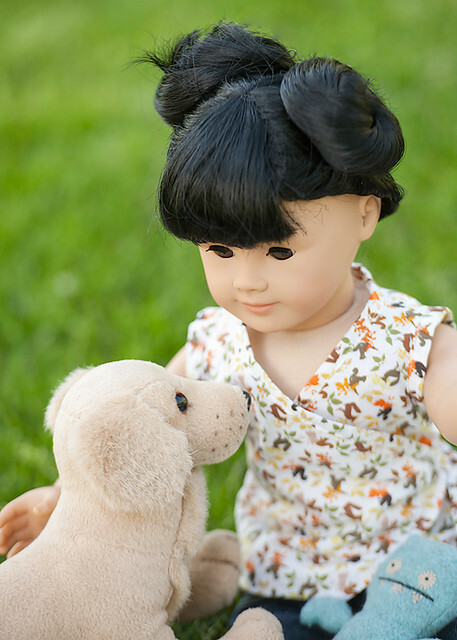 We took along her dog, Sunny, and my Icebat and Piper's stuffed bear, named Albert. 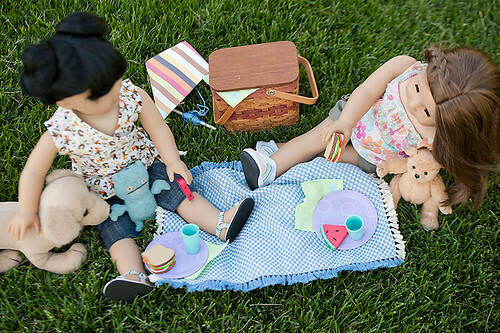 Sandwiches never taste as good as they do when you're out at the park! And he likes my food even more! Silly dog! 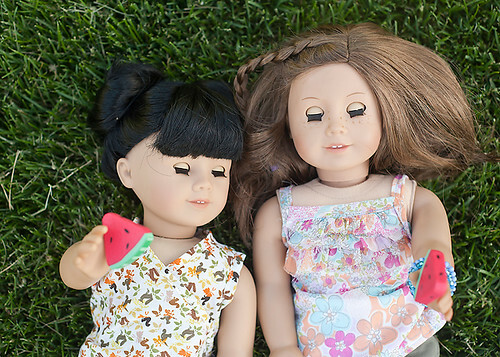 Piper and I ate juicy watermelon and laid in the soft grass together. The grass is a little ticklish on my arms! And juice got all over my face, but I still felt happy. After we ate we got out the kite. It was so windy - just perfect! We talked about what our best strategy would be for getting it off the ground and into the air. And then we went for it. 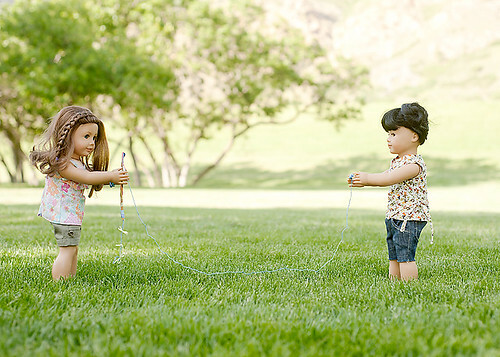 I held the string, while Piper tried to throw the kite up into the air. Finally we got it up! I've had so much fun here in Utah with Piper, but soon I'll be back in New York preparing for my next big adventure! Aren't friends so great? 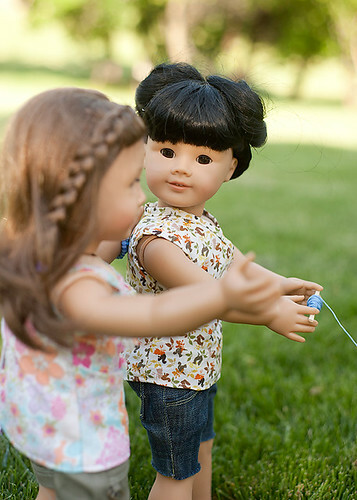 What fun things have you done with friends lately? Looks like you had a great time together. Rebecca (my best friend) and I are on a road trip together right now. 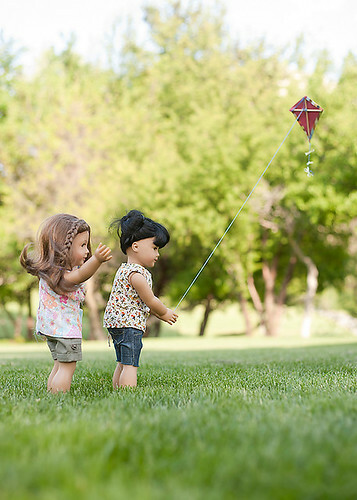 Looks like it really was a perfect day for kite-flying! And what beautiful photos of you and Piper! I know you are looking forward to your next adventure. Maybe I"ll see you before you leave? You probably don't know me, but I love your blog!! It is super cute and the photos are simply beautiful. May I ask what camera you use? Thanks!!! P.S. 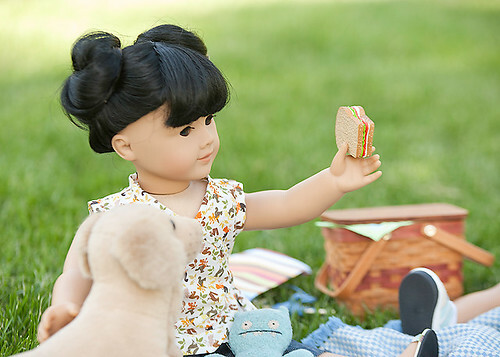 My best friend Nikki and I love to go on picnics too! Its super fun when your with your best friend. It almost makes the experience magical!!! 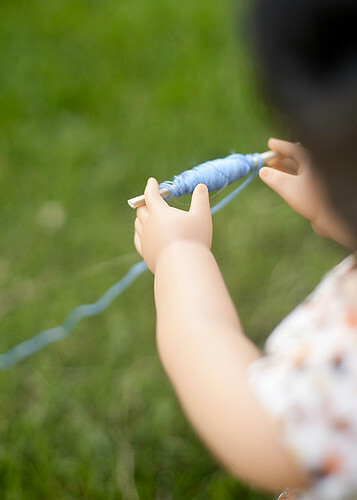 Hi Inky, you got a lot of really great photos of your picnic and kite flying. I love both of the shirts the two of you are wearing, too - where did you get those!? Hi, Inky! It looks like you had a lot of fun! I love watermelon too! It's one of my favorite summer time snacks!